As Ghana joins the rest of the world to mark World Cancer Day, which falls on the February 4, every year, Hope for Future Generations (HFFG), a children, youth and women-focused non-governmental organization, is calling on government to pay special attention to cervical cancer, which is the second most common cancer in women living in Ghana. According to the NGO, available data suggests that about 3,151 new cervical cancer cases were diagnosed in Ghana in 2018, hence the need for more energies and investments to be channelled into initiatives to reduce the cervical cancer burden. “The annual number of cervical cancer deaths in Ghana is around 2,119, and as it stands, there are many women at risk. 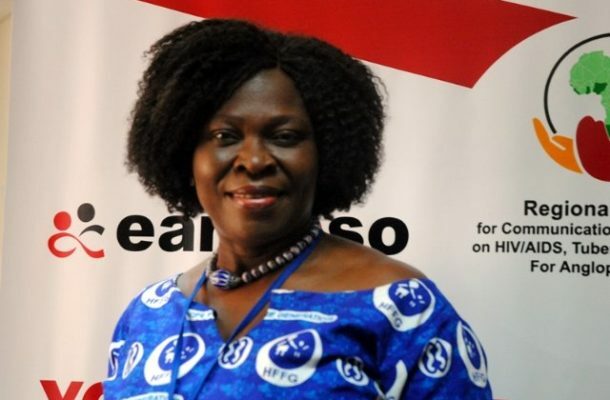 This calls for an upscale in national cancer response, if we are to attain Goal 3 of the Sustainable Development Goals (SDGs),” Mrs Cecilia Senoo, the Executive Director of HFFG said in a press statement. According to the World Health Organization (WHO), non-communicable diseases (NCDs) including cancer are the biggest cause of death worldwide. WHO says cancer alone was responsible for an estimated 9.6 million deaths in 2018.